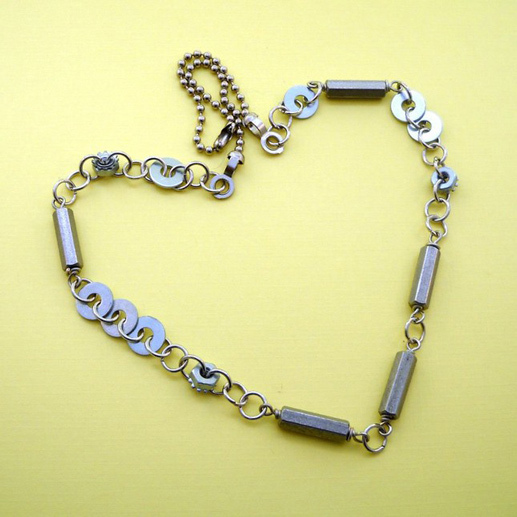 Liz has been making jewelry in one form or another since 2000. 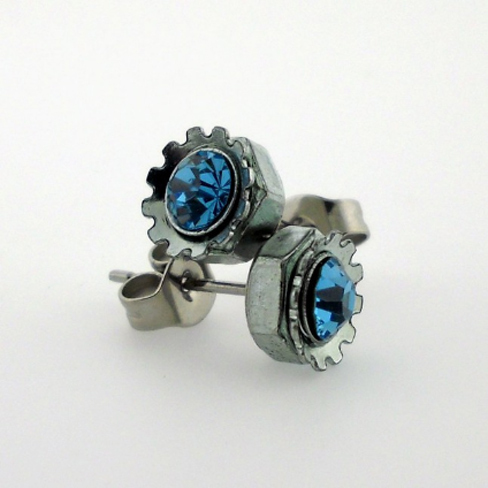 Her current Industrial lines of jewelry allow her to combine her nerdy and creative parts into a funky and beautiful whole. Liz works out of the Western Avenue Studios in Lowell. I work mainly with new and repurposed hardware – nuts, screws, etc. i work with stainless steel as much as possible. I also work with glass, stone, and crystal beads. I use stringing, bead weaving, and wire working techniques in my jewelry making.